Since it was unveiled in June 2017, the Stratolaunch has undergone a series of tests before it begins service in 2020. On October 18, the Stratolaunch YouTube page posted a video of runway tests that saw the aircraft reach a top speed of 90 mph. The world’s largest plane is so big, it needs two fuselages with separate cockpits. It’s called the Stratolaunch, and it’s designed to launch rockets into space in what is known as low-Earth orbit, which means the spacecraft is between 99 and 1,200 miles above the Earth’s surface. (Most space flights, as well as satellites and the International Space Station, are in low-Earth orbit.) 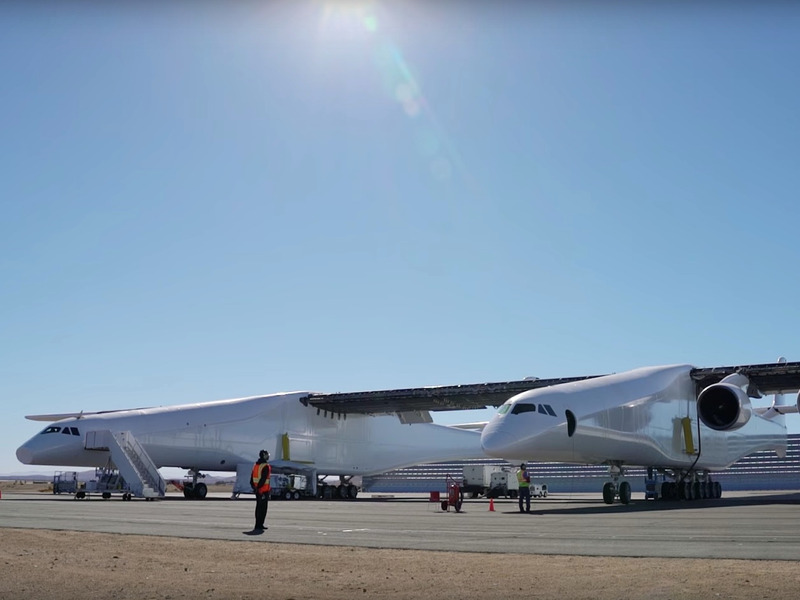 The late Stratolaunch Systems founder Paul Allen hoped to launch a rocket the size of a NASA space shuttle one day, according to the Washington Post. Since it was unveiled in June 2017, the Stratolaunch has undergone a series of tests before it begins service in 2020. On October 18, the Stratolaunch YouTube page posted a video of runway tests that saw the aircraft reach a top speed of 90 mph. Stratolaunch Systems was founded by the late Paul Allen, who co-founded Microsoft. It will do so by launching rockets toward space from mid-air, which the company hopes will be less expensive than current, commercial space launch options.